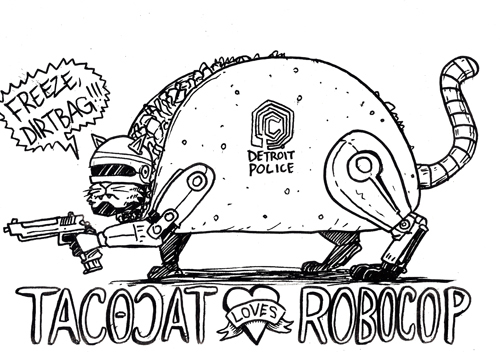 Custom Tacocat drawings and zine pre-sale now on The Request Line! Tacocat is a palindrome. Tacocat is also one of my favorite things to draw! Now you can get custom made Tacocats on The Request Line! Gimme a quick suggestion of the Tacocat you’d like and I’ll draw it up for you. Drawings are just 9.99 and only 12 requests will be taken. 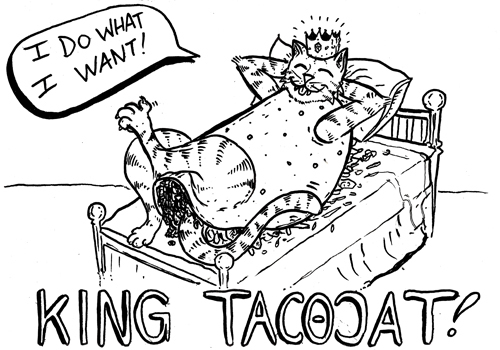 All of the Tacocats purchased off of Request Line will be published in a Tacocat ZINE in June. You can pre-order the zine with your drawing too.